The new Airweave comforter is from the Airweave hyper down line which is made with synthetic fibers. With the use of ultra fine synthetic fibers, these hyper down comforters are lightweight and provide better heat retention and antibacterial properties. MSRPs of these comforter are JPY70,000 and JPY100,000 excluding tax for single and double respectively. 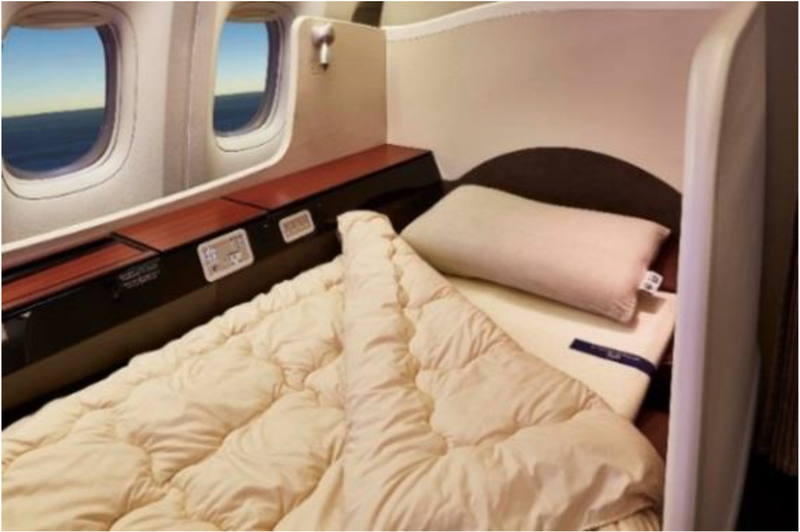 But the one used on JAL flights are specially made to the JAL NEW SKY SUITE specifications.